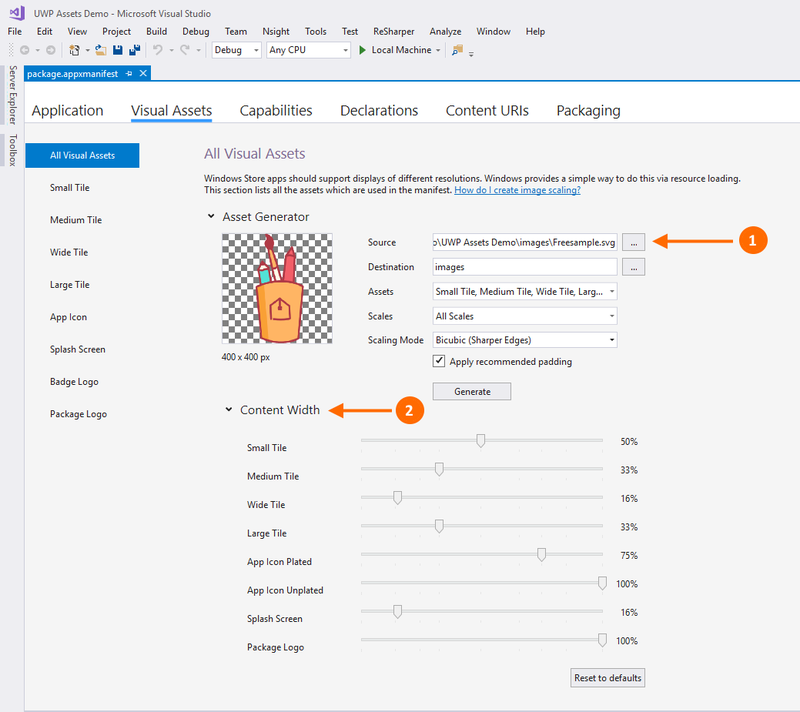 Extends standard Visual Studio's Assets Generator with new vector images formats and image sizing capability. Please, make sure that you use VS version 15.7.1 or greater. Visual Studio 2017 allows us to generate visual assets from a single image. Additional image formats EMF, EPS, PSD, SVG, WMF, XPS. Ability to change width of content. This tool uses Magick.NET to render SVG files. Sometimes it renders SVG incorrectly, and can be fixed by inlining css styles with Svg For UWP Converter.